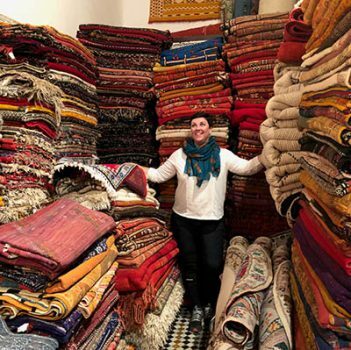 Goway Africa Expert Kelley Cleaveland just returned from a trip to Morocco, including Casablanca, Fes, and Marrakech. Kelley shares her insight into what she learned from this once in a lifetime experience. What do you think is the biggest misconception about Morocco? That it’s a dry, desert land when in fact it has a much more varied landscape. Also, that it’s a small country, when in fact distances between the main sights are pretty far. What was your favourite hotel / lodge and why? The Palais Faraj in Fes. It is a unique and gorgeous former private residence that has been converted to the most gorgeous 5-star hotel. The décor and attention to detail at this property is second to none. We ended up spending almost 90 minutes there on our site inspection and enjoyed every moment. What was your favourite unique stay / experience? On our final night I got to stay at Riad 72 which was a total treat. It is a combination of two former riads that have been updated and modernized, while still retaining beautiful elements from the original décor. Each room is unique and spacious, even the lead in Classic rooms. While it is located in the heart of the medina, It was very quiet and peaceful within the riad. 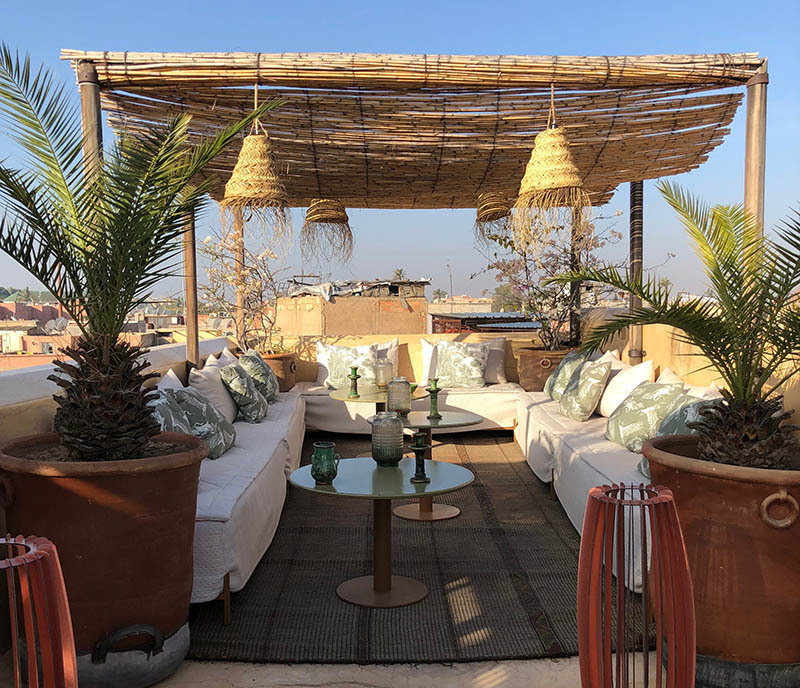 My favourite part was the rooftop terrace, which is one of the highest points in the medina, affording excellent views of the city. As a Goway Africa Expert, was there anything that surprised you? By far the most surprising part of our trip was the variation in the landscape. I went in with the assumption that it would be either rocky or sandy desert landscape, with a palm tree or two here and there. When in reality, the area around Casablanca is actually very green and rich with agriculture. Driving from Fes to the Sahara, we passed through quaint mountain towns. These had a very European landscapes of creeks, lakes and cedar forests. Winding roads then took us through rocky mountain passes. At one point it looked and felt like we were in the American Southwest, with red rock mesas and deep valleys. Finally, we got into the more arid region, but even that was a surprise with gorgeous date palm oases alongside the river. Morocco has so much to offer when it comes to its scenery and landscape and that is one of its most delightful surprises. Are there any tips about travelling to Morocco that agents might share with their clients to make their trip more enjoyable? I think the main tip I would have is to make sure they explore the medinas in Fes and Marrakech. 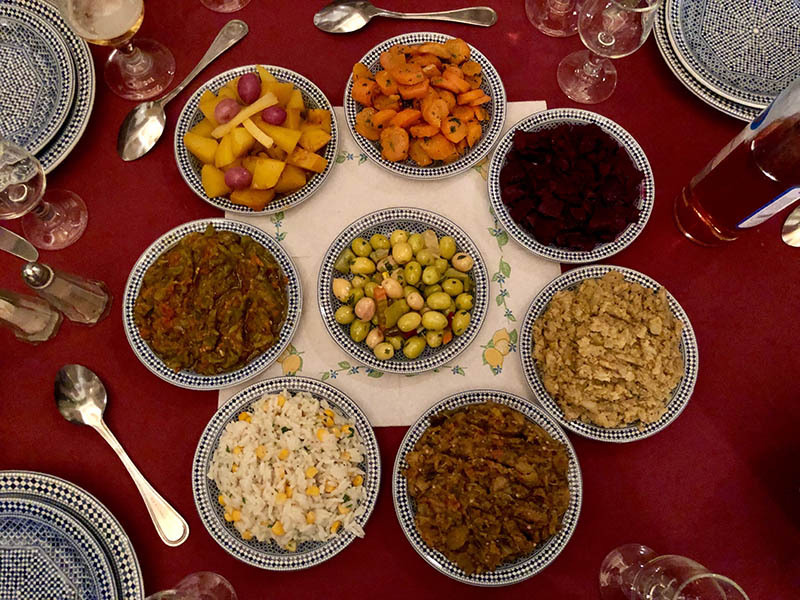 The local markets can be overwhelming, but with the help of a local guide they can be the highlight of any trip to Morocco – an absolute feast for the senses! Do you have a favourite local dish? Of course the tagines and couscous were amazing, but my favorite thing was what they called Moroccan salads. These were small plates that they brought out to start the meal, eaten with fresh local bread, and mainly made up of cooked vegetables. Summer squash, eggplant, tomato, carrots, raw cucumber, etc. They were light and delicious and the best way to start a meal.